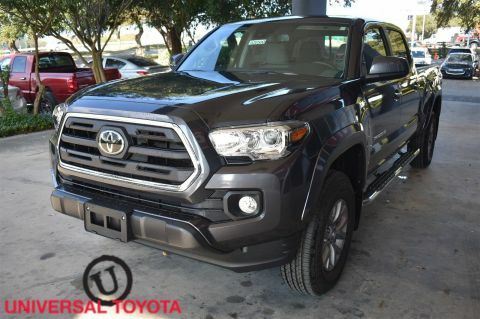 Wheels: 16 Silver Alloy, Variable Intermittent Wipers, Urethane Gear Shift Knob, Trip Computer, Transmission: 6-Speed Automatic -inc: electronically controlled w/intelligence, Transmission w/Oil Cooler, Toyota Safety Sense P, Tires: P245/75R16 AS, Tailgate Rear Cargo Access, Steel Spare Wheel. 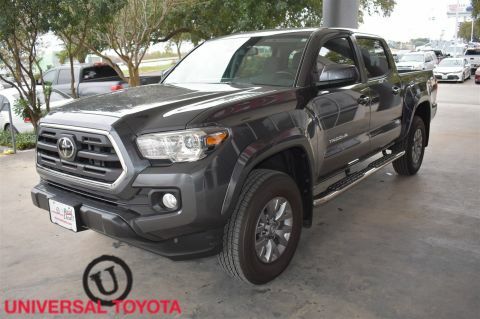 This Toyota Tacoma has a strong Regular Unleaded V-6 3.5 L/211 engine powering this Automatic transmission. 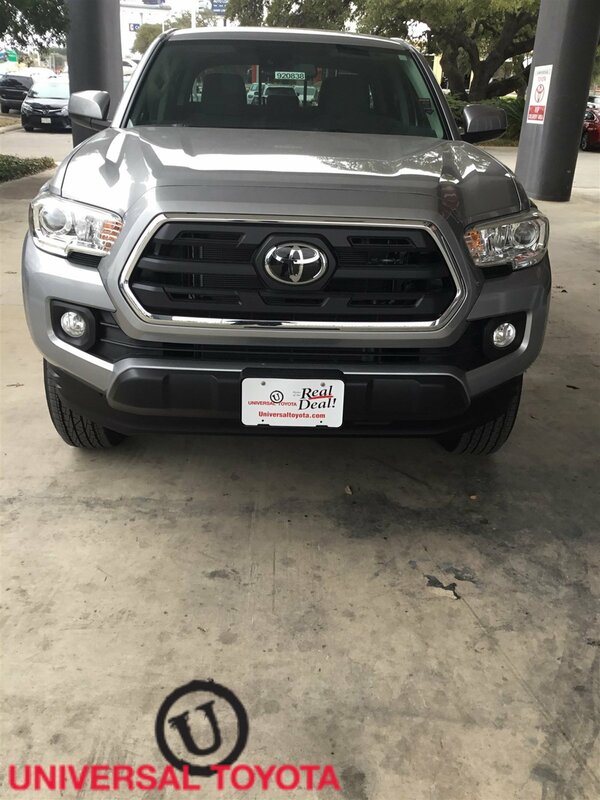 * Experience a Fully-Loaded Toyota Tacoma SR5 *Single Stainless Steel Exhaust, Side Impact Beams, Seats w/Cloth Back Material, Remote Keyless Entry w/Integrated Key Transmitter, Illuminated Entry and Panic Button, Regular Composite Box Style, Rear-Wheel Drive, Rear Cupholder, Rear Child Safety Locks, Radio: Entune Plus AM/FM/CD w/HD Radio -inc: 6 speakers, 6.1 high-resolution touch-screen display, auxiliary port, USB media port, advanced voice recognition, Bluetooth hands-free phone capability, phone book access and music streaming, Scout GPS Link compatible, Siri eyes free, SiriusXM satellite radio w/complimentary SiriusXM Satellite All Access 3-month trial subscription included and HD Radio, Radio w/Seek-Scan, MP3 Player, Clock, Speed Compensated Volume Control and Steering Wheel Controls, Power Rear Windows, Power Rear Window, Power Door Locks w/Autolock Feature, Power 1st Row Windows w/Driver 1-Touch Down, Passenger Seat, Outside Temp Gauge, Outboard Front Lap And Shoulder Safety Belts -inc: Rear Center 3 Point, Height Adjusters and Pretensioners, Manual Tilt/Telescoping Steering Column, Manual Tailgate/Rear Door Lock, Manual Anti-Whiplash Adjustable Front Head Restraints and Manual Adjustable Rear Head Restraints. 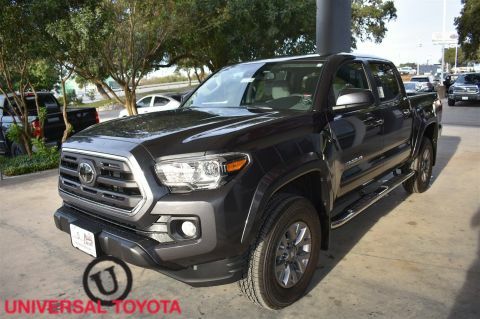 * Visit Us Today *You've earned this- stop by Universal Toyota located at 12102 IH 35 North, San Antonio, TX 78233 to make this car yours today!